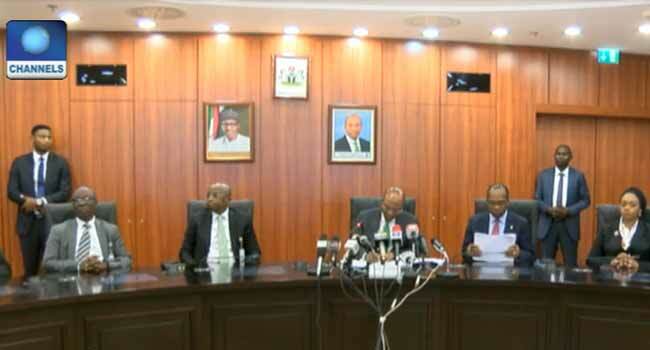 The 262nd Monetary Policy Meeting is ongoing at the 11th Floor, Wing C of the Central Bank of Nigeria Headquarters in Abuja, the nation’s capital. CBN Governor, Godwin Emefiele chairs the meeting that brings stakeholders to deliberate on the financial stability of Nigeria. In attendance are key officials of the apex bank, stakeholders and journalists. At the meeting, the apex bank decided to retain the MPR rate at current level of 14 per cent, Liquidity ratio at 30 per cent.